As we have stated previously, we take a particular interest in causes that support children. 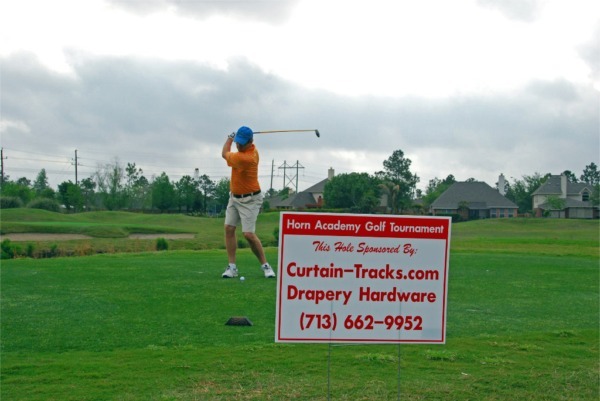 As such, Curtain-Tracks is proud to announce our sponsorship of the recent 2010 Horn Academy Golf Tournament, a fund raising event for a local public elementary school in Bellaire, Texas within the Houston Independent School District. The funds raised support the school's PTO, which is stockpiling funds in preparation for coverage of ancillary expenses associated with the build out of a replacement school. The current school was built in the mid 1940s, and noteworthy alumni include actors Dennis Quaid and Randy Quaid. The ground breaking on the new construction is scheduled for May, 2010 with the new school ready for use in Aug, 2011.